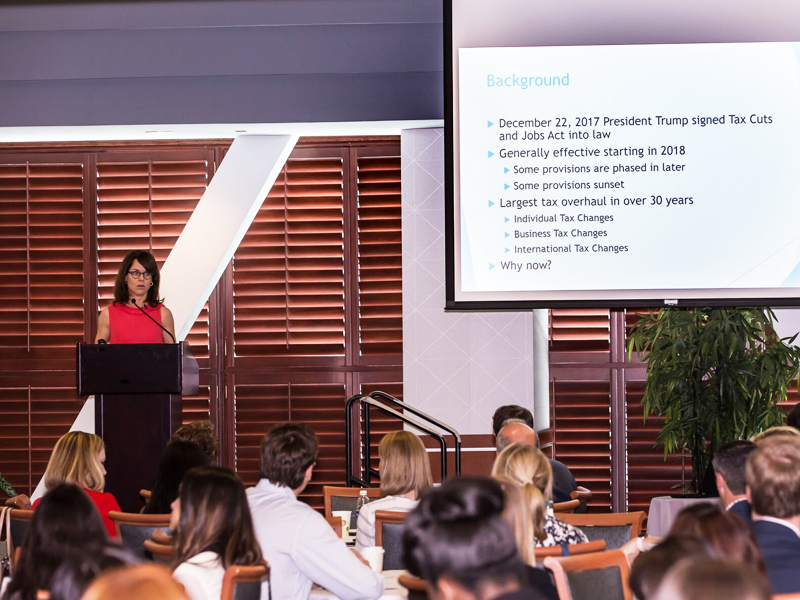 On Thursday, May 24, members of the Raleigh Chamber of Commerce Young Professionals Network learned how recent global and domestic market fluctuations and federal tax reform will affect their bottom line. Pocketbook Predictions: Understanding How the Economy and Tax Reform Impact You featured UNC Tax Center Associate Director Dr. Courtney Edwards. Speaking to attendees at the PNC Arena in Raleigh, Edwards provided insights into the background of tax reform and outlined the ways in which changes to corporate tax legislation will impact businesses in both the short term and as impending tax provisions are rolled out in future years.